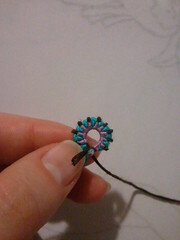 Start off with 3 colors - 2 in the center, and 1 for the sides. 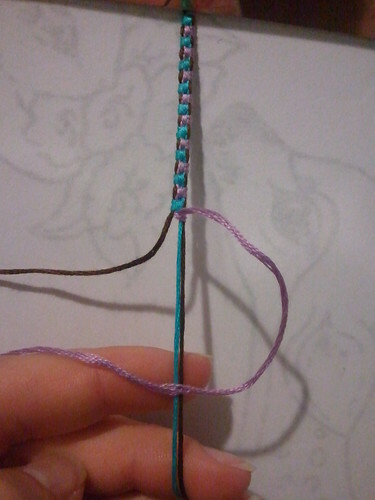 For the 2 center colors, cut one string, and for the outer color, cut two strings. 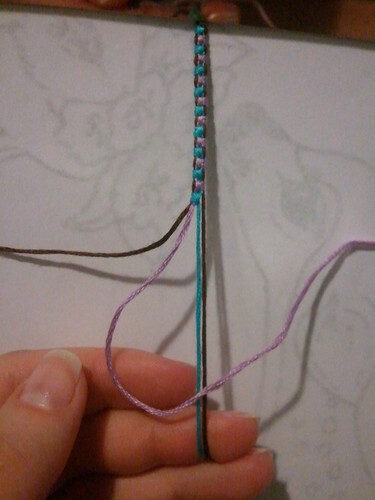 Strings should be cut to your average length, different for each person. 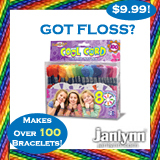 This gives you 4 strands, but 3 colors. 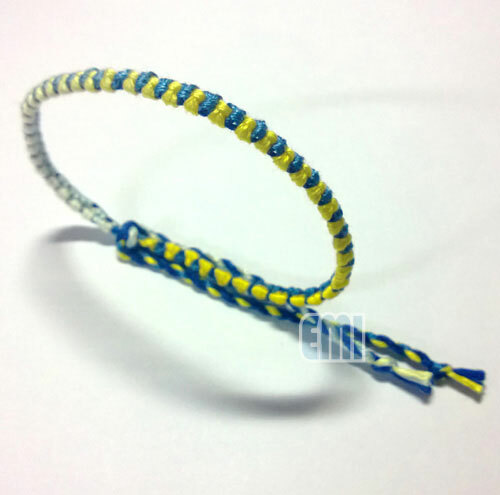 Tie your bracelet as you like. And now we can start! With string B(purple), make a forward-backward over both C and A. 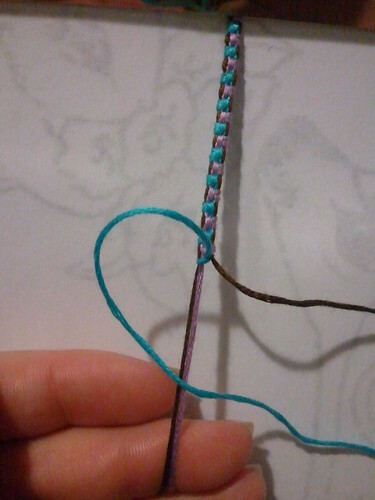 Pull gently and to the side keeping your knot square. Now repeat with string C, in the opposite direction. 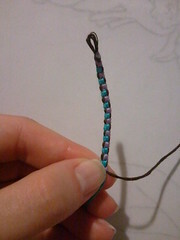 Hold the bottom of the bracelet, and pull the outer strings gently and slowly. 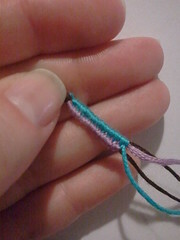 Do this one side at a time for a small section, then even it out by pulling the other side. 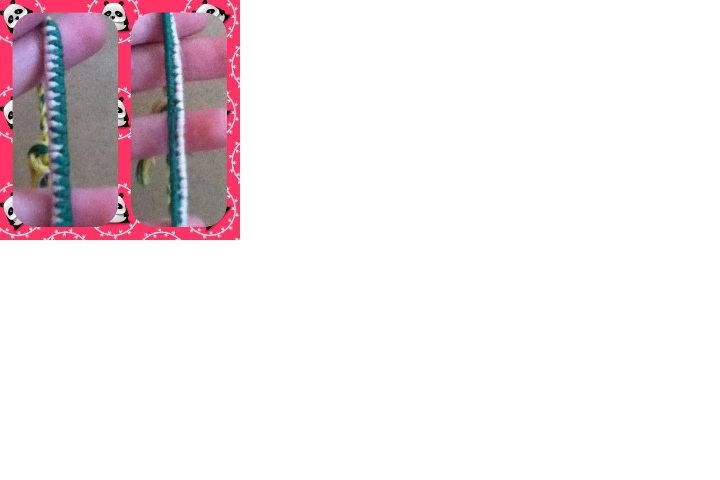 This works best if you are doing this as you are making the bracelet. 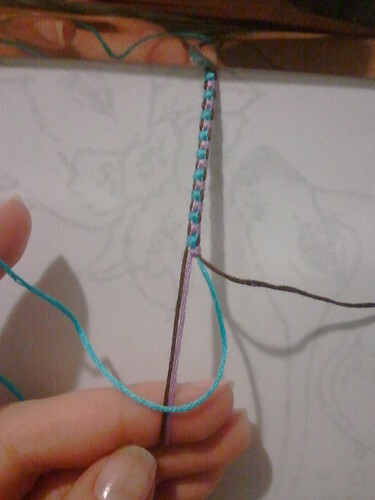 Once even, pull both outer strings at the same time, pushing gently upward with the colored knots. This will make it tighter. 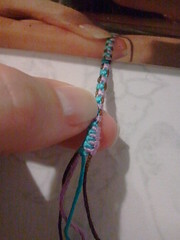 Now the knots you made are to the outside of the bracelet. Below is the backside of what you just did. 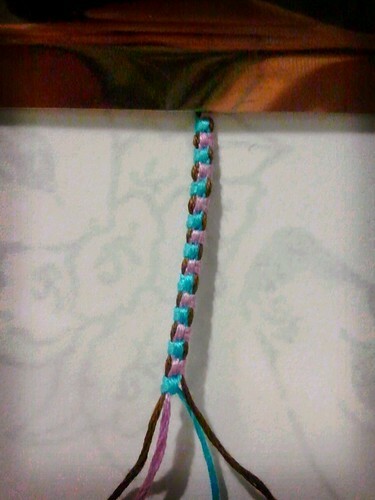 If you don't like the changes you made, its simple to make your bracelet go back to its original form. 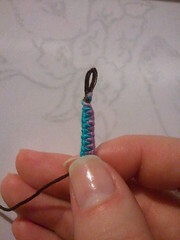 Holding the tied end, pull gently downward. 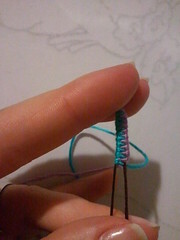 Your knots will stretch out, revealing the outer strings. Again, work in small sections, from the top. The original author of this tutorial is ElleMay, but it has also been edited by Foz, Matina, Kestrel, Alicat, Squishy5454, _esv_, Assassino, Macarrones, purpledisaster, monaelis777, JesusLover, ninga62, kleinevos, Vincoune, boesangel and kskeel96. The tutorial was last updated 3 years ago.